Earth-Wise took down our huge, beautiful but dying tree today. Unbelievable how quickly, safely and efficiently they worked. Thank you so much! We've never seen such a huge undertaking handled with so much grace, care, safety and true consideration for our home and property. We love these guys! Job well done! Your guys were professional and thorough. Your employees were very professional, hard workers, polite and did a great job. I'm glad we chose your company for our tree removal and will recommend you to others. Thank you very much for the professionalism of your employees…I really appreciate the attention to detail and cleanup too. Very impressed with the tree removal and clean up. Great job! We were very pleased with the professionalism and friendliness of your crew. They were efficient and courteous and very safety conscious. Your crew did a great job. They were very professional and easy to work with. I will definitely recommend you to my friends. The crew did a wonderful job and we are very pleased with your company. We would hire you again for future work. Throughout the years, Ed and his crew always do an amazing job! I am so grateful I have someone to call that I can trust. You have the best workers...truly gentlemen. Thanks for the great work. Really pleased. You are a great service - very professional and organized. Thank you for taking such good care of our landscape and trees! You are wise indeed. Your men out in the field are educated and thorough...glad I discovered you after all these years. Aphids feed on the foliage and twigs of plants by sucking sap. There are over 350 different aphid species in Colorado and almost all plants are potential hosts. 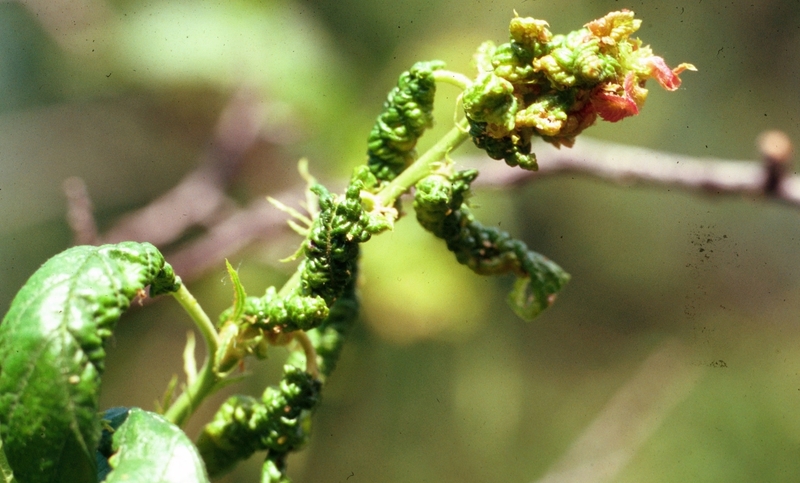 Symptoms vary depending on the type of aphid and the host plant, but include curling leaves, wilting leaves, premature defoliation and sometimes even dieback of shoots and buds. In addition to the negative impacts to your plants, aphids can be a significant nuisance due to their production of honeydew. Honeydew is the sticky waste material excreted by aphids, and it covers everything that lies beneath infested plants. 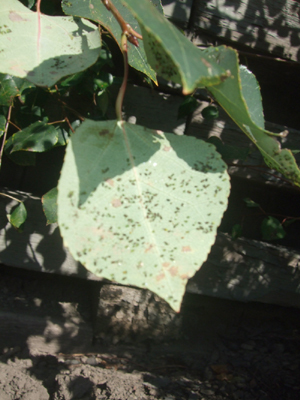 Black sooty mold grows on the honeydew, which detracts from the appearance of decks, sidewalks and plants. Several predator insects feed on aphids and sometimes keep their populations in check. Unfortunately, aphids often overwhelm their natural predators during cool, wet weather. 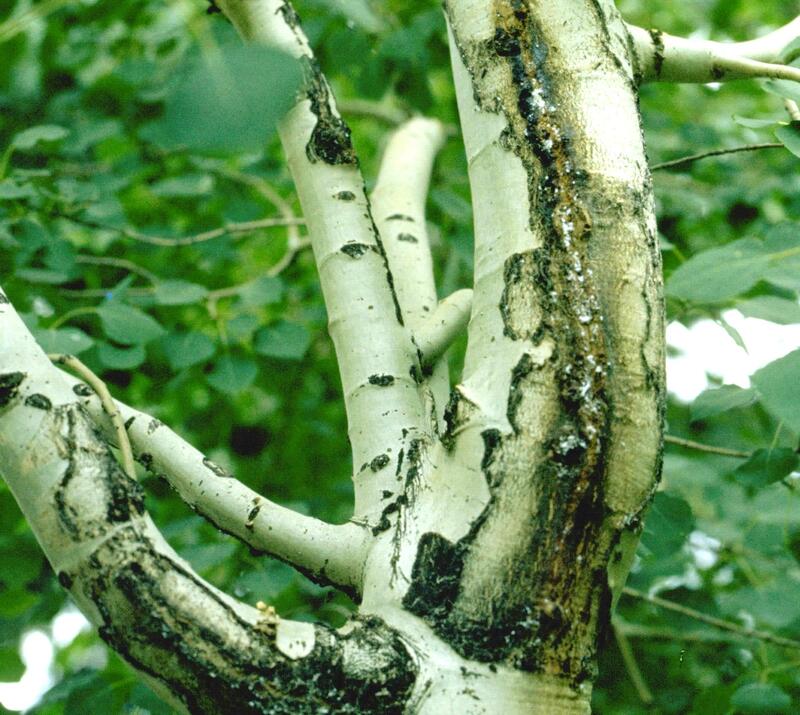 When natural controls are not sufficient, treatment options include spraying, soil injections and trunk injections.